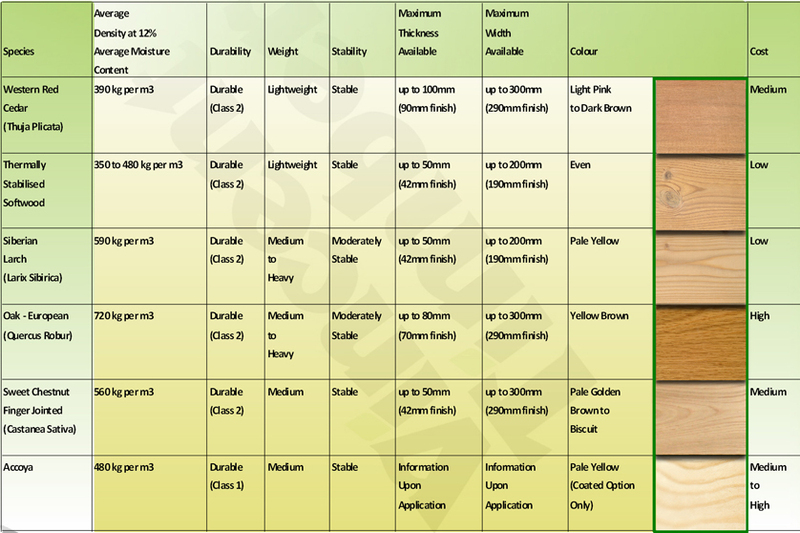 Vincent Timber - Products - Timber Louvre Options. Horizontal and Vertical Louvre Blades are increasingly being used within Solar Shading and Brise-Soleil Systems. 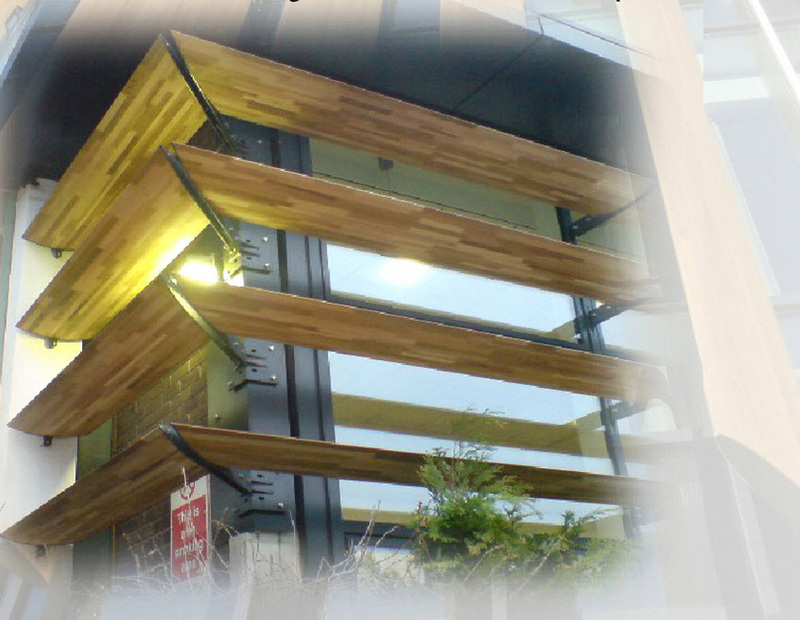 Typical applications are for Fabricated Timber Louvre Panels, Extraction and Ventilation Panels, Imitation Louvre Panels, Internal/External Dividers, Noise Reduction Solutions, Screening Panels for Boiler Houses / Refuse Areas and Office Screens. All of our Louvres are available in a wide range of naturally durable Softwood and Hardwood, including Western Red Cedar, Larch, Thermowood, Accoya, Oak and Sweet Chestnut. Vincent Timber Louvres can be supplied fully certified in either FSC, PEFC, SFI or CSA, depending on specie and country of origin, do not settle for anything less than the best, Vincent Timber Louvres, specify them by name. Vincent Timber's Timber louvres provide an environmentally friendly and sustainable option to traditional aluminium Louvre systems, which are far more costly to produce and have a greater impact upon the environment. Architects are forever opting for greener alternatives and with a wide range of species and sizes available along with the versatility timber Louvre's offer, specifications can be tailored to suit any projects needs. Vincent Timber have many years experience in supplying many of the UK's leading Louvre fabricators and installers and offer a unique and efficient service along with top quality engineered timber products into this sector. Our services include, precision cutting, angled mitre cuts, compound mitre cuts, specialist drilling services along with FR Treatments (Non Com Class C and B) and factory applied coatings. In Association with our specialist manufacturing partner in Canada and unique to the UK market, Vincent Timber now offer a new and exciting product to the Louvre Market. 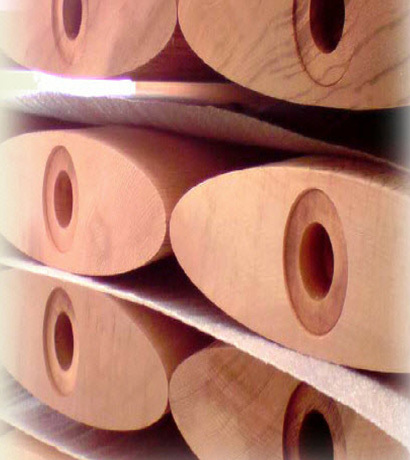 Laminated Western Red Cedar offers a cost effective and attractive solution for large size Louvre sections available in widths up to 500mm, up to 80mm in thickness. 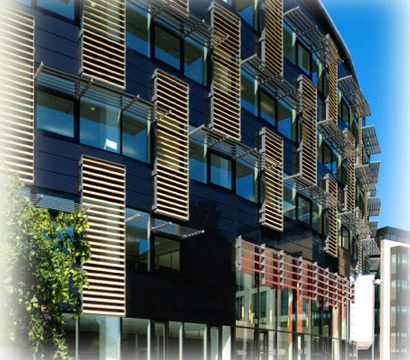 Laminated Cedar is now an option where Large, wide and long Louvres were once limited to Aluminium. Lightweight and constructed using strong external grade glues. Vincent Timber's laminated Western Red Cedar Louvre Blades offer an engineered timber solution to expand the imagination of both Designers and Architects.